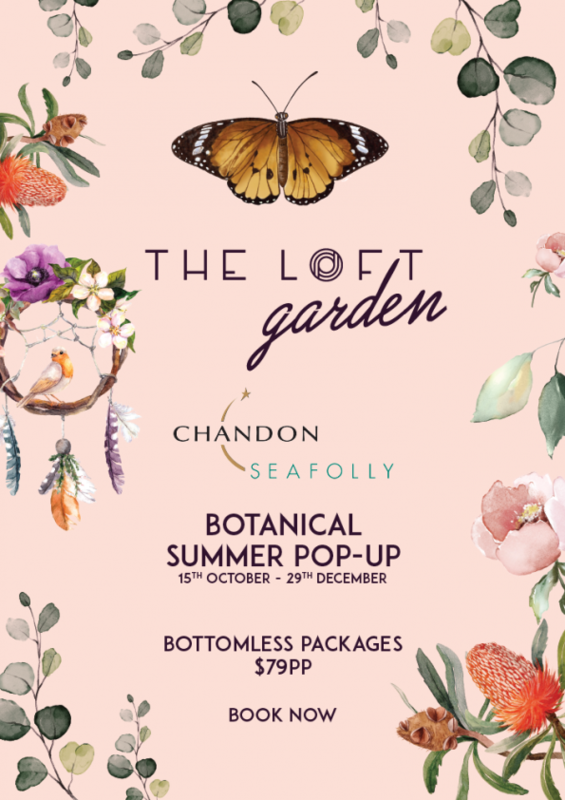 The Loft & Chandon Seafolly present the Botanical Summer Garden Pop Up this October – December. The Loft is being transformed into a beautiful harbourside garden with a luxe botanical inspired menu to match. 2 hours of bottomless cocktails, choose any from our botanical cocktail menu* with matching sweet & savoury grazing plates. *Please note this package doesn’t include 1 of each cocktail in adherence to RSA laws.